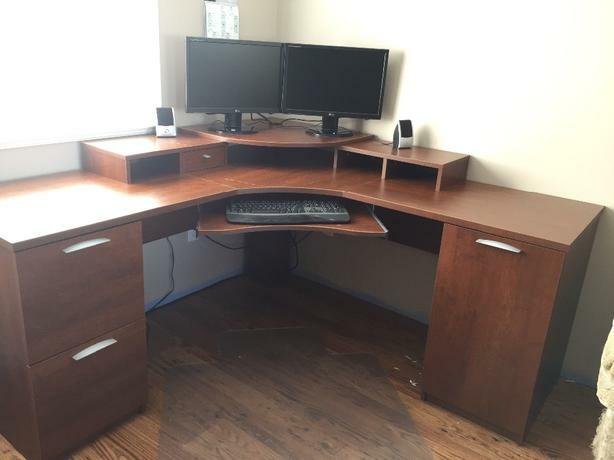 Bestar corner office desk. 2 file cabinets and one drawer with shelves. Pull out keyboard shelf. Excellent condition. Will include clear floor chair protector mat. Need to convert office room into a nursery room so need gone ASAP.